Fania Davis, a long-time social justice activist, will present the distinguished lecture. Lexington, Ky. (Sept. 26, 2018) — On Thursday, Sept. 27, the University of Kentucky College of Social Work will hold the 16th Annual Irma Sarett Rosenstein Lecture. This year's event, titled "Healing Our Communities Through Restorative Justice and Social Work," will take place from 2-4 p.m. in the Recital Hall at the Singletary Center. The lecture is named for Lexington social worker Irma Sarett Rosenstein. She led the challenge to fight social injustice in Central Kentucky, until her passing in 2015. The lecture, intended to celebrate Rosenstein's remarkable legacy, will feature a national voice on restorative justice. 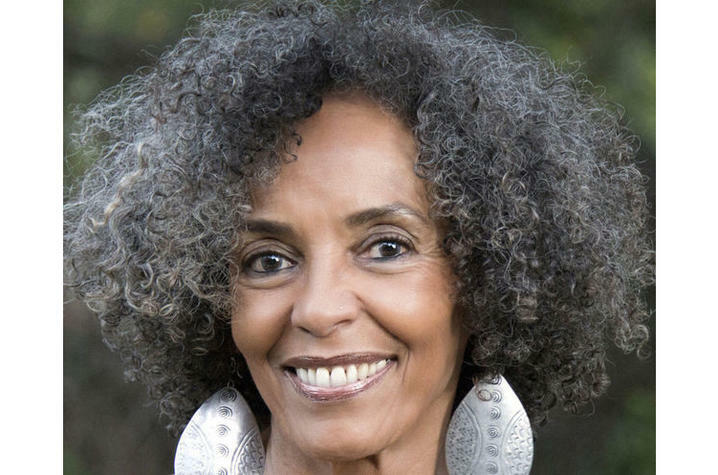 Fania Davis, a longtime social justice activist, will present the distinguished lecture. After receiving her law degree from the University of California, Berkeley in 1979, she became a civil rights trial lawyer. During the mid-1990s, Davis pursued a doctoral degree in indigenous studies at the California Institute of Integral Studies, where she apprenticed with traditional healers around the globe, particularly in Africa. Since 2003, Davis has been engaged in the search for healing alternatives to adversarial justice. She has taught restorative justice at San Francisco’s New College Law School and indigenous peacemaking at Eastern Mennonite University’s Center for Justice and Peacebuilding. Davis is currently the director of Restorative Justices of Oakland Youth (RJOY). Previously, she served as counsel to the International Council of Thirteen Indigenous Grandmothers. Other honors include; the Ubuntu Award for Service to Humanity, the Dennis Maloney Award for Excellence in Youth Restorative Justice and World Trust’s Healing Justice Award. The Los Angeles Times recently named Davis a Civil Rights Leader of the 21st Century. "Each year, we invite someone who embodies the values of social work in their everyday life. This year, we are pleased to invite Fania Davis," Ann Vail, interim dean of the College of Social Work, said. "In light of current events, her insight and skills will better prepare us to respond." Rosenstein graduated from the University of Pennsylvania with a master’s degree in social work. She always cared deeply about the welfare of children, the most vulnerable population. Rosenstein was a social worker at the UK Chandler Hospital and taught in the College of Social Work where she worked closely with the first dean of the college, Ernest Witte. She brought an ethos of openness and clarity to community problems. Rosenstein did not shirk from addressing racism. She was the driving force behind the Kentucky Conference of Christians and Jews, now called the Kentucky Conference for Community and Justice (KCCJ), an organization dedicated to building community and ending bigotry. Rosenstein hosted one of social work’s most prominent leaders, Whitney Young, at a KCCJ dinner when no public places outside of UK were desegregated. "We appreciate the foresight of Irma Rosenstein to know the importance of bringing experts to our campus to interact with students, faculty and staff," Vail said. "She left a lasting gift to the college by providing resources to support a lecture series that now carries her name." The distinguished lecture is open to the public. For more information visit the College of Social Work website.